Thailand has a superb network of reserves containing representative examples of every major habitat from lowland rainforest to montane evergreen forest and high altitude, moss-encrusted rhododendron thickets. Our tours through this exotic, vibrant and beautiful country with its diverse ethnic groups, age-old monarchy and rich cultural heritage has great appeal and will no doubt delight and surprise you. 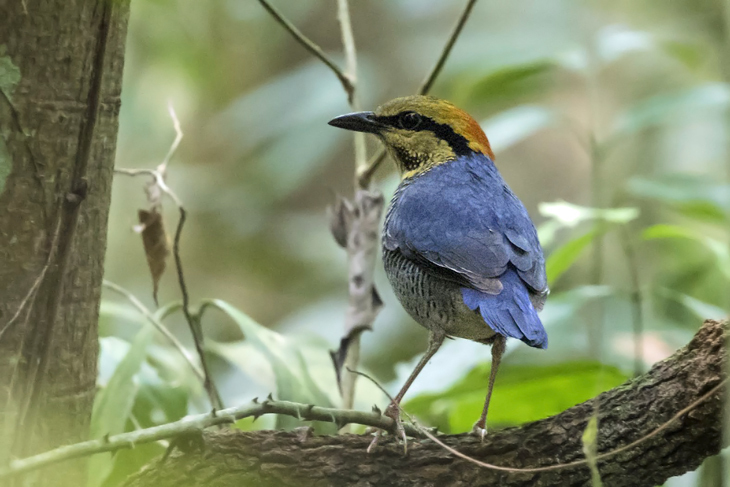 We will look for a host of localised species including Siamese Fireback, Great Hornbill, Banded Kingfisher, Silver-breasted Broadbill, Coral-billed Ground Cuckoo, Blue and Eared Pitta, White-rumped Falcon, Black-headed Woodpecker, Grey Peacock-Pheasant, Green Cochoa, Spot-breasted Parrotbill, Red-faced Liocichla, Giant Nuthatch and Green Peafowl just to name a few. The scheduled itinerary for this tour can be obtained by contacting us.